As we all know food has the power to bring people together, to create bonds of laughter, joy and love. 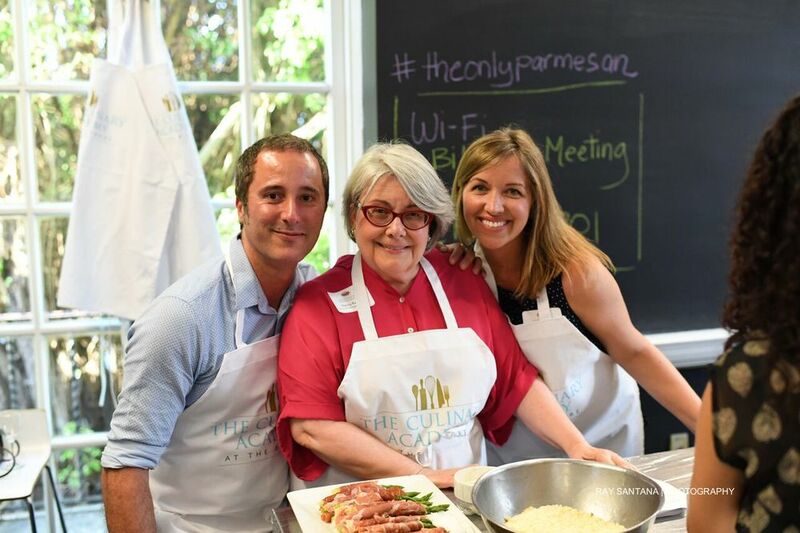 On May 26th we had the opportunity to be a part of an incredible culinary experience like no other, hosted by #theonlyparmesancheese PARMIGIANO REGGIANO US-PR Family in the beautiful breathtaking Bilmore Hotel. Where to begin.. It all started with a graceful invitation from SOUTH FLORIDA BLOGGERS. Have you heard about them? they are an amazing support community of bloggers that are here to help and advise you with any of your needs, the knowledge that we have gather from this group, has been quite an experience.. So where were we?...Yes! Ok.. As we entered this beautiful facility we were pleasantly greeted by Danielle Bolla (Co-Director Consortia Parmigiano-Reggiano Ponte PR). She was very lovely and pleasant. We were then guided to our kitchen stations were the history of this amazing cheese was explained. Parmigiano Reggiano ties to their area of origin which has been their tradition for 900 years, Also they are the ONLY Parmesan which means, "of/from Parma-Italy. The secret of such goodness is because of its natural feed, and high quality milk with NO ADDITIVES. During the long aging process, natural fermenting agents in the milk give the cheese its particular flavor and texture. This cheese has the perfect balance, not too salty not too strong. It was DIVINE!!! Having the opportunity to meet Biltmore's Hotel Executive Chef David Hackett and Chef De Guisine - Fontana Giuseppe Galazzi was an honor, they are both incredible instructors at what they know best, the art of food. We loved this experience so much you guys!! 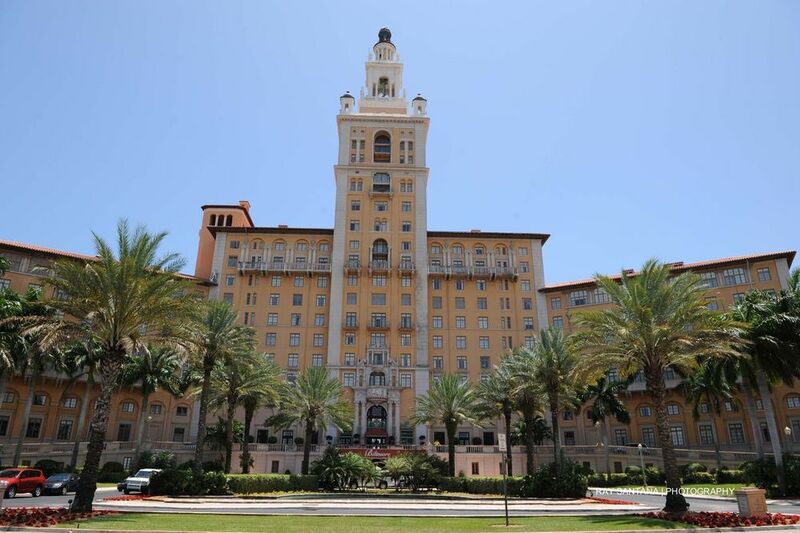 That we highly encourage you to look into cooking classes here at the CULINARY ACADEMY of the Biltmore Hotel, not only will you build bonds eating and preparing your meals but you will learn TONS!! So, lets prepared a lovely Parmigiano Reggiano & Cilantro Gnocchi with Key Lime Butter Sauce which was superb!! and take a glance at the other awesome recipes that were prepared that night. Combine the mashed potatoes, cilantro-ricotta cheese mix, parmigiana reggiano, olive oil, eggs and 1 teaspoon salt in a large mixing bowl. (you could whisk or use the kitchen mixer) which ever prefer. Then add the all-purpose flour in 3 parts, stir with a rubber spatula if possible. Bring the dough together in a ball and cut off one quarter of it. Dust the work surface with all-purpose flour to prevent sticking, and roll the cut-off piece of the dough into a dowel shape about 5/8 inch in diameter. Cut the dowel into 5/8 inches pieces. Dust some parchment paper with seminal flour and place the gnocchi on it to prevent sticking. Repeat with the rest of the dough, quarter by quarter. Cook the gnocchi in the boiling water for 2 minutes or until they float. Then place them into ice cube cold water bowl and transfer into cooking pan and drizzle olive oil. When ready to serve cook again in boiling water to warm and add the lime-cilantro butter sauce. Heat a large nonreactive (stainless steel) skillet over high heat. When the skillet is hot, add the key lime juice, garlic, shallots. Cook for 2 minutes, stir in the salt, pepper, worcestershire, for about 1 minute. Over low heat, which in the butter a few pats at a time. When all of the butter has been added, remove from the heat, but continue whisking until all of the butter is incorporated into the sauce. Stir in the cilantro. Parmigiano Reggiano US - PR Family ~ Right to left : Danielle Caponi Bolla, Nancy Radke (Founder of the U.S information office for the consorzio del Formaggio Parmigiano-Reggiano) and Federico Bolla. The wonderful class of May 26, 2016! Thank you so much Culinary Academy of Biltmore for all your hospitality! All picture credits to Ray Santana| Photography.